Colby Pitbull Bloodline – A well respected dog. Colby pitbulls tend to be a very active and athletic bloodline. They require a great deal of space to run as well as a good deal of training and socializing with other dogs. This bloodline’s temperament is can be dog aggressive without the proper training and socializing. 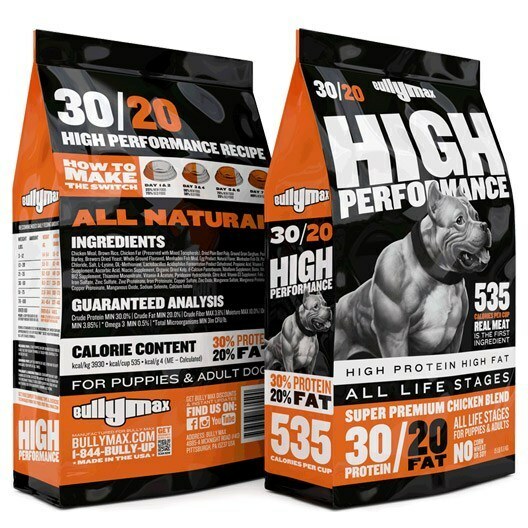 Unlike the american bully pitbulls that are naturally dog friendly. The Colby PitBull Bloodline dates back over 100 years ago. To this day, many pitbull breeders throughout the US as well as throughout the world still breed 100% Colby pitbull dogs. There are different types of Pit bull breeds. The most common of them are the American Pit bull Terrier, the American Staffordshire Terrier, and the Staffordshire Bull Terrier. Not many people know that they originated from the line of Colby Pitbulls. They are part of the American Pit Bull Terriers. Colby dogs have always been well respected for their temperament, gameness and conformation. They are in many people’s view the ultimate American Pit Bull Terrier. Unlike the modern stereo type of an APBT Colby dogs were not huge with massive heads – in fact they were fit, well-muscled dogs. The Colby Pit Bull has a first impression of tremendous strength for its size. 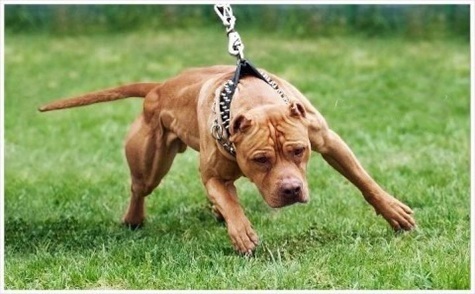 It is a very muscular, bulky dog. Despite these attributes, the breed is also very agile and limber capable of doing a full day’s work. The Colby dog is very alert and aware of its surroundings. They make terrific pets because of this very nature of theirs. The Colby Pit Bull has a long and interesting history. John Colby originated his strain of American Pit Bull Terriers in 1889. He brought over the top of the line canines from Ireland and England. He started breeding them and the breed took off and spread all over Northern parts of America. However, due to selective breeding over the last 70 years they own been bred to different standards resulting in many individuals recognizing them as two distinct breeds. During the “Great Depression of the 1930’s” the American Kennel Club added American Pit Bull Terriers to their registry under the name of Staffordshire Terriers. With this new name for the breed, they needed a standard. 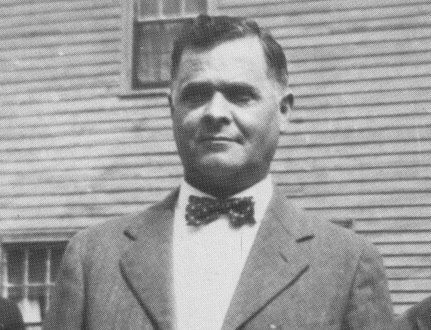 After visiting a few kennels, a committee headed by Wilfred T. Brandon chose Colby’s Primo as a standard for the breed. Our family of dogs, the “Colby Pitbull dogs”, are probably the oldest, purest strain of dogs in the world. The breeds that we see today in Pit Bull bloodline owe their origin to Colby Pitbull dogs. Now in 2012, 118 years after their origin, they are still known for their strength and the playful characteristics. Head: – The Colby dog’s head size should by medium length with a broad skull. Their skull is bulkier than its other child breeds. Their muzzle should medium length and fall away from below eyes. Neck and Shoulders: – Their neck is heavy and medium in length. They have muscular shoulders with wide and sloping blades. Tail: – Their tails are short in correlation to size. It is set low and tapers to a thin point. Coat: – The Colby dog’s coat is short and lustrous. Similar to all dog breeds characteristics they too have the nature of shedding their hair. Grooming is perfectly necessary for them to maintain such a lustrous coat. Height and Weight: – The Colby’s bloodline size is generally in proportion with its height and weight. There is a characteristic height of about 18 to 19 inches at shoulders for the male and 17 to 18 inches for the female. The fully grown adult weight about 30 – 50 pounds. Now more than 100 years later, the line of Colby Pit Bulls is still in effect and worldwide. It is a breed that has survived negative stereotypes of strictly being a fighting dog to being a celebrated member of the American Kennel Club. It is also a breed that is family oriented. They are noble and loyal to their owners and make wonderful family pets. The Colby Pitbull is a very charismatic dog that will forever be popular. Many excel at obedience training and dog sports such as agility, weight pull, Frisbee, and fly ball. Due to their affinity with people, this breed is a good candidate for rescue and adoption, but potential homes need to be carefully screened to insure that the new owners understand and accept the responsibility of owning a Colby Pitbull. These dogs are very smart and love learning new tricks. They catch on very easy. Also these dogs are very good at concentrating. Such a dog should be thoroughly evaluated by a trainer or behaviorist experienced in the breed for a final determination of their temperament and recommendation on how to proceed. Potential owners need to be informed of this breed correct temperament, and need to be prepared to deal with the issue of dog aggression. Most of them have a high prey drive and may chase small animals or livestock. But refined house training will be best guidance for them to behave in a proper manner. 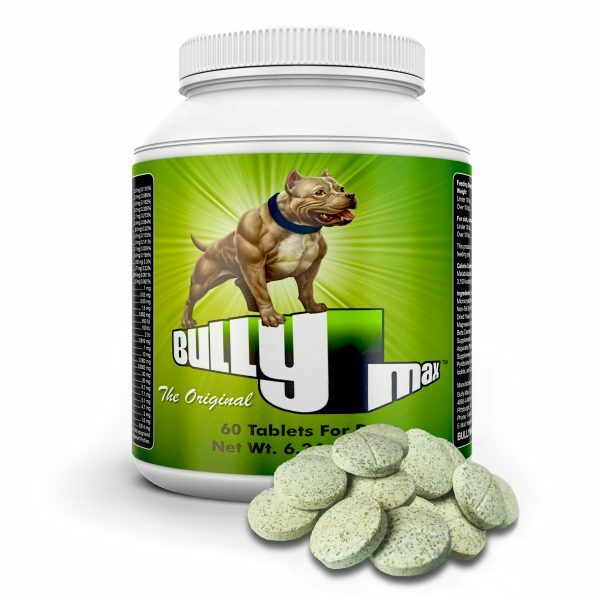 Pitbull thrive off of equability dog supplements for muscle such as Bully Max. companion for households with children or with big family, while remaining strong and vigilant enough to protect its loved ones if needed in any situation. It is never necessary to embark on guard or protection training programs with this breed, as they are naturally attuned to their environment and intuitive about real threats. However, protection training will give you the ability to control your dog in situations where they need to defend your home or family. The often overly energetic Colby Pit Bull is best suited for a medium-large yard with a well-built fence. The well-trained type may be fine in a large apartment, but will require regular outdoors activity. It prefers to thrive in warmer climates. The health conditions most commonly associated with the Colby Pit Bulls are Parvo, hip dysplasia, allergies and cataracts. Colby Pit bulls are also sometimes prone to congenital heart disease. A much more serious disease that can sometimes occur in Colby Pit bull but is not particularly common is Von Hillenbrand’s Disease Type 1. This is a bleeding disorder that can be life threatening. A gastric disorder called Giardia; the infestation of protozoa in the digestive tract is common in these breeds. Sometimes they may also suffer from diarrhea. An average of 12-14 years life expectancy is observed in Colby Pitbull. The litter size of Colby Pitbull is 5-10 puppies on an average according to colby pitbull breeders. 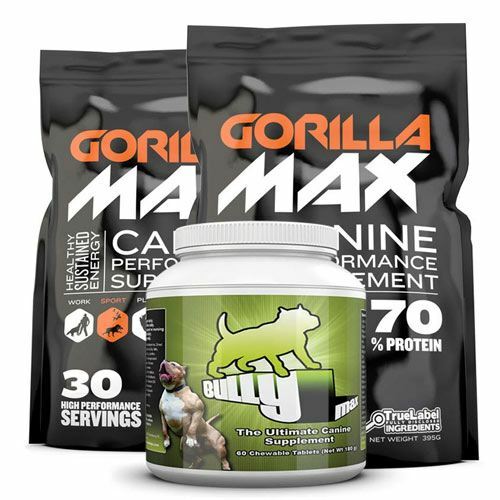 A quality pitbull muscle building supplement such as bully max not only provides dogs with the protein and amino acids needed to build muscle in dogs, it also provides your dog with essential vitamins, minerals, and nutrients to keep their immune system healthy and strong!